Proper planning and understanding how to set realistic expectations are important aspects when you are considering divorce. 1. No One Wins in a Divorce. Divorce Courts are a court of equity, which means the courts strive to be fair and equitable to both parties. If you are looking to “win” in your divorce case, you are going to be sorely disappointed. 2. Expect Your Divorce Case To Take Considerable Time Until Conclusion. 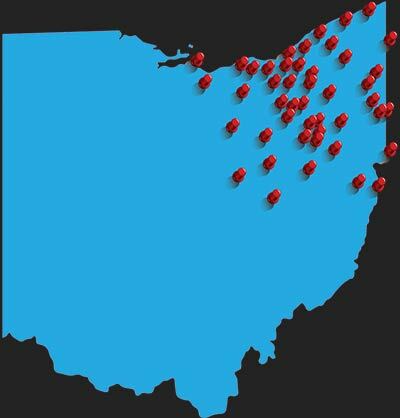 The Court’s in Ohio handle many, many cases besides your case and the courts take one case at a time. So, if you are expecting your divorce to be over quickly, that is an expectation that you need to set aside before you go through the divorce process. 3. Expect Your Standard of Living to Change. Whether you are paying support, both child and spousal support, or receiving support, your economic standing is going to change during the course of the divorce. Temporary orders are, in this writer’s opinion, the most important aspect of a divorce case. Temporary orders set forth your financial obligations that you will be bound by during the course of the divorce litigation, which can take some time, so be prepared to take whatever steps are necessary to adjust to the differing financial status that you will be subjected to during the divorce process. 4. Your Children Will Be Affected. During the divorce process, especially if custody is an issue, your children will be part of the process. This is especially true when a court appoints a guardian ad !item, which is normally a separate attorney who is appointed by the court to conduct an investigation and report to the court as to their recommendation as to what is in the child’s best interest. A good guardian ad litem attempts to establish a rapport with their wards, which of course means contact with the guardian during the course of the divorce litigation. Furthermore, there may be an “in camera interview” involving the children. An in camera interview is where the court interviews the children in the court’s chambers as to their wants and desires as to the allocation of parental rights and responsibilities. 5. You May Lose Friends. You and your spouse have common friends that you have met and created relationships with during the course of marriage. When you split from your spouse, some friends will side with your spouse and against you. This is human nature so do not expect to maintain all of your social relationships that you have obtained during the course of your marriage to your spouse during the course of the divorce litigation. Get more information on what to plan for and what to expect by scheduling a free consultation with one of our divorce attorneys. Proper preparation and the right information are key elements when you go through a divorce. Contact us to discuss your situation and schedule a free consultation calling 330-762-0700, chat with one of our 24-hour live chat representatives or send us a website message.